Cavatappi is a Tubular corkscrew or spiral shaped pasta about 1-inch long, native to southern Italy. 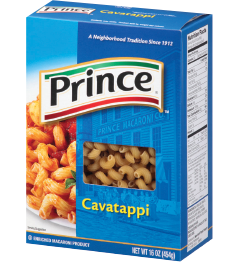 Use Cavatappi in entrées & side dishes, baked dishes or cold salads. Just about any type of tomato-based or cream sauce complements the versatile shape of Cavatappi.